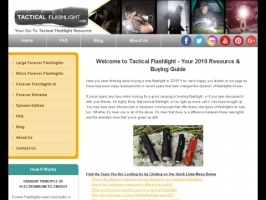 An online resource for everything related to tactical flashlights and forever flashlights. Find out what makes a tac light different than a normal one. Whether it's the size, lumens, materials or application, there's a tactical flashlight for anyone!